In Disney Pixar’s 2009 animated blockbuster “Up,” elderly widower Carl Fredricksen refuses to sell his home to developers, who go ahead with construction around his pristine plot of land. “Tell your boss he can have my house,” says Carl to a foreman in one of the opening scenes. “Really?” he responds. “Yeah. When I’m dead!” Carl quips. Edith eventually befriended the project’s senior superintendent, Barry Martin, who took care of her — driving her to doctor’s appointments, running errands and listening to incredible stories about her younger days. When she died in 2008, she left the house to Barry. 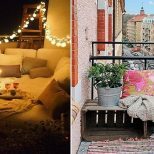 It was then sold for $310,000 to Greg Pinneo, who planned to elevate the house to the height of the surrounding buildings, remodel the interior as an office and add community space underneath. In March of this year, Pinneo defaulted on the loans and the house went into foreclosure. 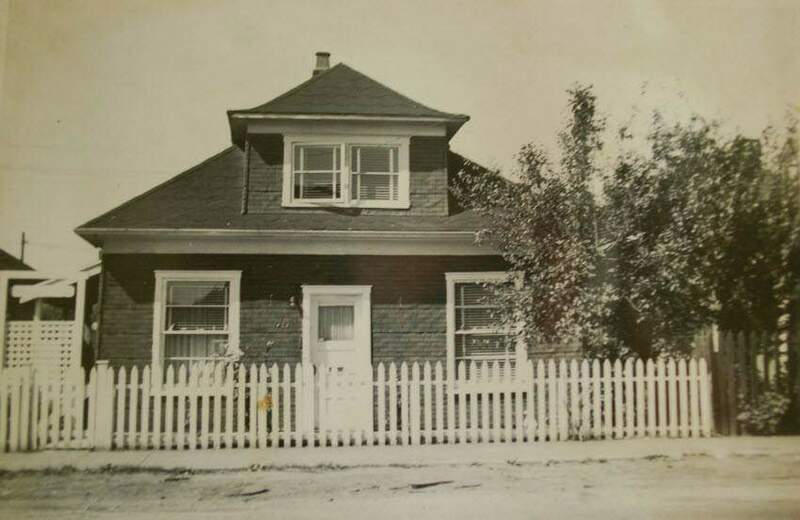 A mother-daughter duo placed the winning bid on the property, keen to open up a pie shop in Edith’s name. But the potential buyers were forced to back out due to the cost of bringing it up to the 2012 housing code. 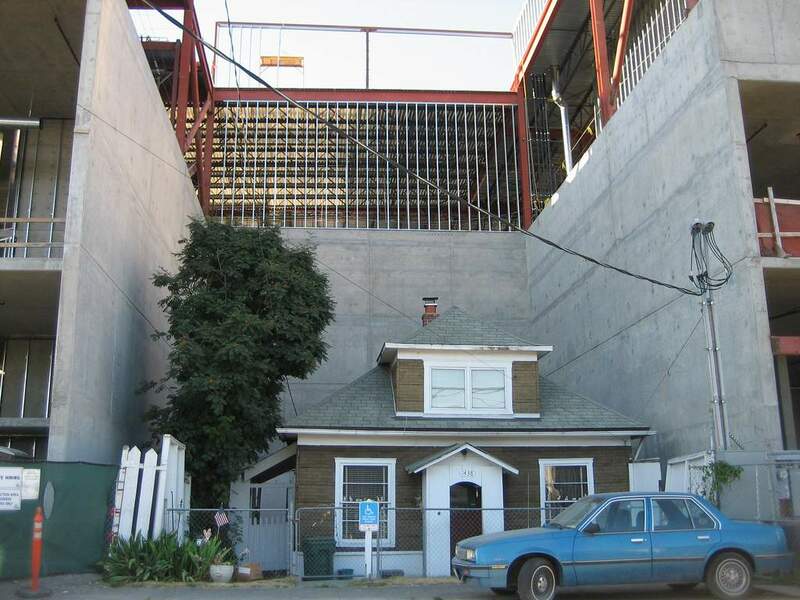 Edith Macefield’s holdout home could soon face a wreckingball. 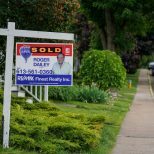 On June 29th, the listing broker announced the home would have to be relocated or demolished within 90 days. The seller is hoping to donate the house to a non-profit and then then sell the land. 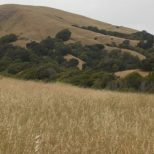 Interested parties may submit their proposals at www.NoBSBroker.com from now until the end of July. 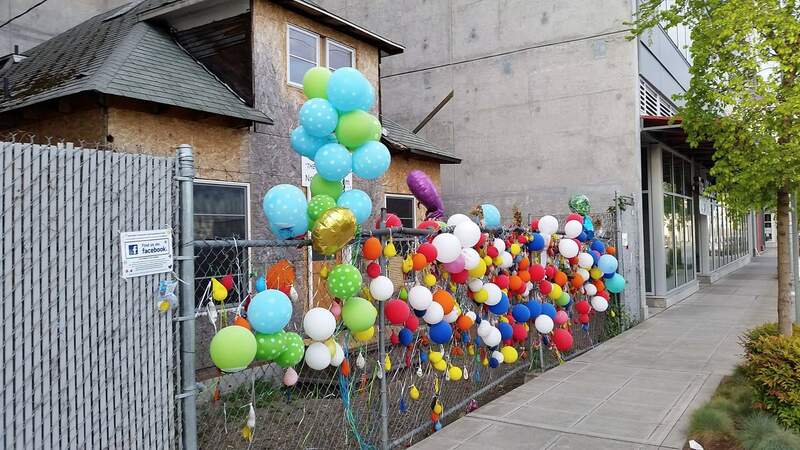 If a viable recipient is not found, the residents of Ballard are going to need a lot of balloons. Photo: The house during construction in 2008 with Edith’s blue car parked out front via Ben Tesch/Flickr. 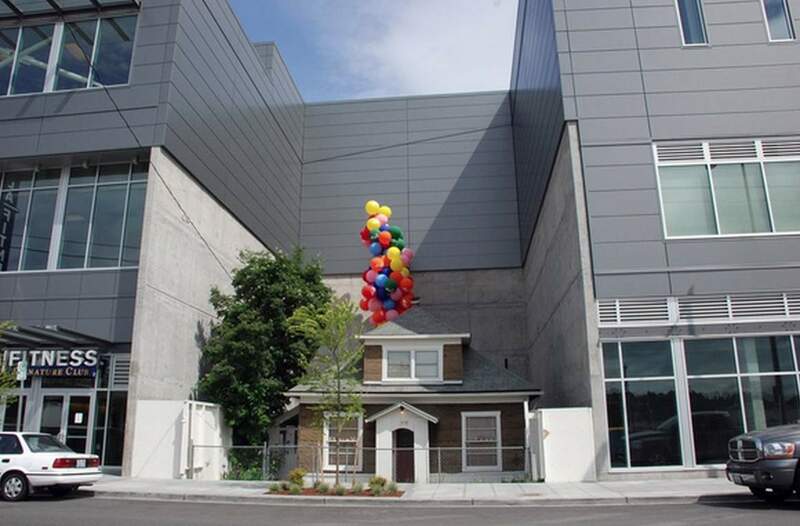 Photo: The house boarded up in April 2015, decorated with balloons via Edith Macefield House/Facebook.